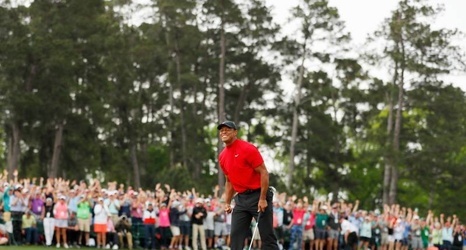 Not for the first time in his career, Tiger Woods made sporting history on Sunday when he won the 2019 Masters by one shot. The American ended an 11-year wait for his 15th major and took home his first green jacket at Augusta National since 2005. He shot a two-under 70 in the final round to finish on 13 under for the tournament and see off Dustin Johnson, Xander Schauffele and Brooks Koepka, who ended one shot back.